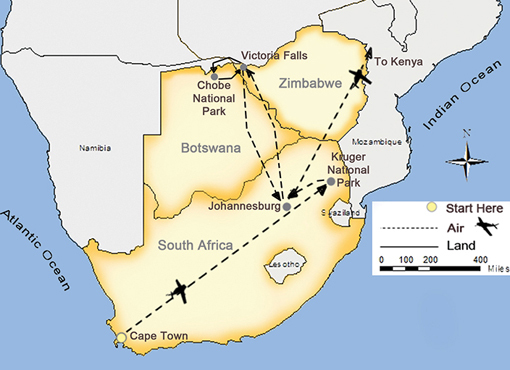 From the Cape Winelands with their internationally acknowledged vintages to Kruger National Park, this wonderful itinerary offers the heart of adventure with all the wildlife spectacle and natural phenomenon that Southern Africa has to offer. 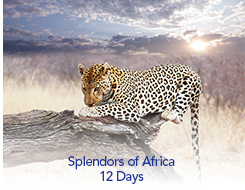 From an evening cruise on the Zambezi River to game drives in open 4WD vehicles, you will see Africa at its most awe-inspiring. Arrive in Cape Town, where you are met and escorted to your hotel.